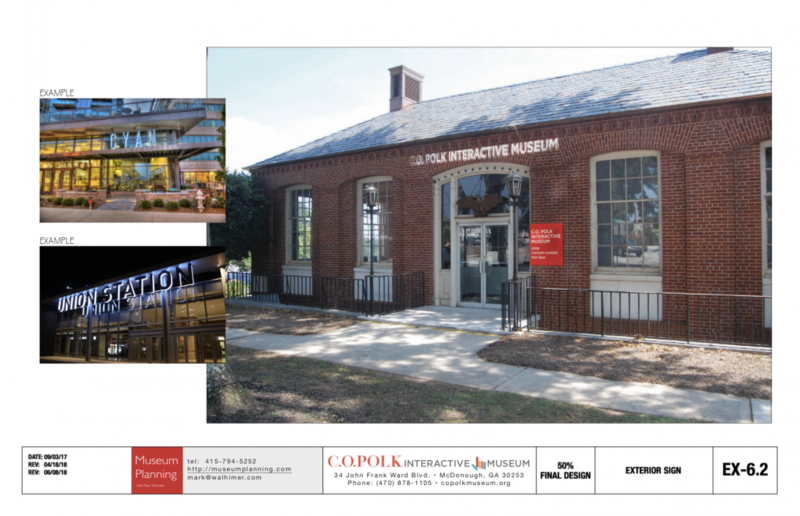 Museum Planning LLC just finished the design and installation of the museum exterior signage for the C.O. 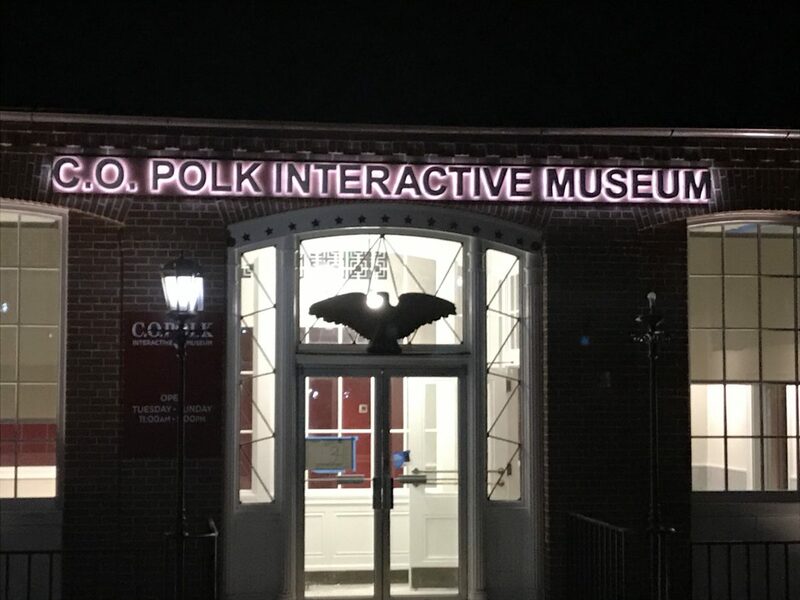 Polk Interactive Museum. Our work included the design of the two exterior museum monument signs with integrated LED readout, the building overhead illuminated sign and the building entrance sign. 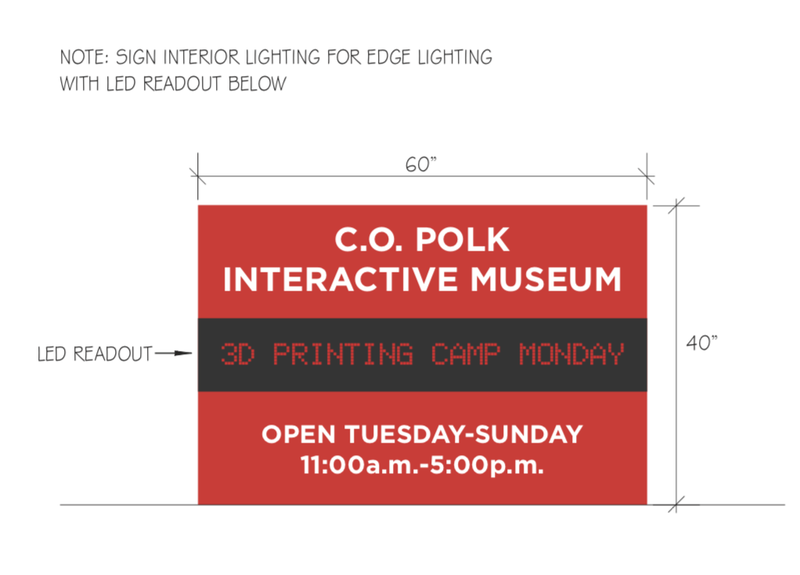 Please contact us is we can be of assistance with your exterior museum signage. Thanks !